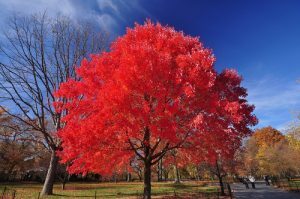 Comments: Autumn Blaze Maple is a fast growing hybrid cross between a red maple and silver maple. It is drought and moisture tolerant. Leaves open with a reddish tint in spring.